SETTdeco is our Award-winning exclusive Sinhala Rendering solution which enables your Sinhala website/blog to read it from any device which even does not support Sinhala Unicode. Last year we launched SETTdeco as a free web solution to everyone using the Google App Engine infrastructure. 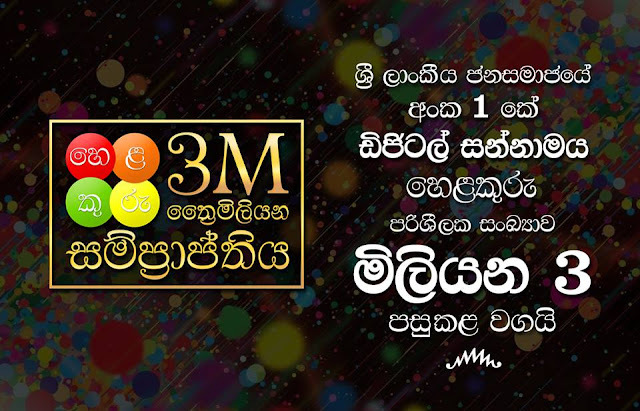 We're so glad to say that as of now it is serving more than 4500 Sinhala websites/blogs enabling Sri Lankan Sinhalese masses to read Sinhala sites from any computer with any OS & any browser. Being a revolutionary innovation on Sinhala cyberspace, SETTdeco provided a complete bulletproof solution for the widely identified issue of Sinhala websites not getting traffic/hits from Sinhalese masses due to they're not having Sinhala Unicode support on their computers because of their lack of knowledge about Sinhala Unicode or how to install Sinhala Unicode. However with the introduction of Google's new pricing scheme for their GAE, we lost the ability to use Google's free infrastructure for SETTdeco & therefore we're moving this solution from Google App Engine infrastructure to our Bhasha infrastructure to provide you a continuous reliable service. In parallel to this move, today we introduce two licensing models for SETTdeco as Commercial license & Non-Commercial license. All the current users of SETTdeco will be automatically granted a Non-Commercial license & they will only be allowed to use SETTdeco service on non-commercial websites/blogs as per the license terms. Commercial users can purchase Commercial licenses for their websites which allows them to use SETTdeco service on Commercial websites. With this introduction of new licenses, the free service we provided for commercial websites will be discontinued from 20th October until they purchase Commercial licenses. We apologize for the inconveniences due to this. Please contact us for Commercial license.